It is quite appaling how the whole of the mainstream media in the Netherlands has ganged up to portray a very biased and slanderous vision of the events and electoral results from yesterday's elections in Venezuela, in which 19 million people were called to elect the 545 members of the National Constituent Assembly. Firstly, the Dutch media automatically questions if indeed 8,1 million people turned out to vote yesterday. All the Dutch newspapers and websites point out that the Venezuelan Government claims that 8,1 people voted but that the opposition disagrees, claiming that only about 2 million people really came out to vote. The newspaper Algemeen Dagblad, for instance, said today: “The opposition estimates that some 2,5 million people voted on Sunday. They fear that the authorities would come up with very different figures, which are a lot higher”. The Dutch news website NU.nl. published today: “According to the Electoral Council, 8,1 million Venezuelans had cast their vote, so it was officiallly announced on Monday. The opposition, which boycotted the vote, fights that number and says that it has been fraudulent. Only 2,5 million people would have cast their vote, says the opposition”. Surprisingly, when those same Dutch media outlets reported on the unconstitutional “plebiscite” called by the opposition two weeks ago, on the 16th of July, they immediately reported (very as-a-matter-of-factly) that 7 million people had participated in that event. For instance, De Telegraaf wrote: “On Sunday, almost a third of the electorate voted in the symbolic referendum against the socialist government”. Also, Algemeen Dagblad wrote: “according to the first reports, 7.1 million votes were cast. The opposition will come with the outcome of the referendum later today”. 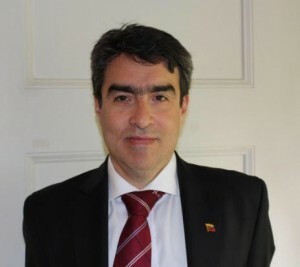 At no point they bothered portraying the position of the chavismo, which is basically that there was no way to determine how many people actually voted on the so-called plebiscite simply because there was no technical registration of voters (in fact many people voted three, four and even five times). In addition, they burned the papers accumulated on that day. Yet, such imprecision and affront to an electoral process and to democracy was applauded unquestionably by the mainstream media in the Netherlands. On the other hand, yesterday's elections in Venezuela were called upon and conducted according to the Venezuelan Constitution (Articles 347, 348 y 349). In addition, the Venezuelan National Electoral Commision (CNE) has already managed 20 democratic elections in the past 18 years, all free and fair, according to international organizations and even according to the Carter Center. Different from the opposition “plebiscite” on 16 July, the elections held by the CNE yesterday are totally automated, hence data can be audited at any moment to legally prove the numbers provided. Of course, in addition to technical voting aspects, you can also take a look at the photos and videos attached which show a massive number of Venezuelans who came out to vote yesterday in support of the Constituent Assembly as a mechanism to, above all, bring peace to the country. Indeed, the turn-out could have been larger, had it not been for segments of the opposition that threatened people, and in some places even locked out entire buildings and neighborhoods, as to stop Venezuelans from voting. Therefore, to be fair, the Dutch media should have either questioned both results, the one from the opposition plebiscite on the 16th of July and yesterday's vote on the National Constituent Assembly, or agreed with both results, the ones provided by the opposition on the 16th of July and those provided by the CNE yesterday. Both should have been treated equally, but that did not happen. Finally, all of the Dutch media copied and pasted one paragraph that says the following: “electors could not vote for or against the National Assembly. They could only vote for predominantly governmental candidates. This included the wife and son of President Nicolas Maduro on the electoral list”. The wife and son of President Maduro were two of 6,000 candidates who ran in these elections, all coming from various regions and sectors of society, such as: workers, students, peasants, indigenous populations, pensioners, businessmen and women, people with disabilities, among others. Also, these elections, as well as the candidates' nomination process, were open to absolutely everyone and every sector of society. President Maduro reached out to every single agent of Venezuelan society. However, the hierarchy of the political opposition decided from day one that they were not interested in participating. It is no coincidence that that was also the position of US President Donald Trump, since America funds the Venezuelan opposition. Recently, CIA Director Mike Pompeo admitted to be working behind scenes with Mexico and Colombia on a “transition” in Venezuela. Pompeo is the same person who once said that those who use waterboarding in the US “were not torturers but patriots”. The Dutch media should at least portray both sides of the argument. Not doing so should not be called journalism but something else and that is ultimately very damaging to Dutch readers and Dutch society in general.